How Far is MKB Homes HEM? 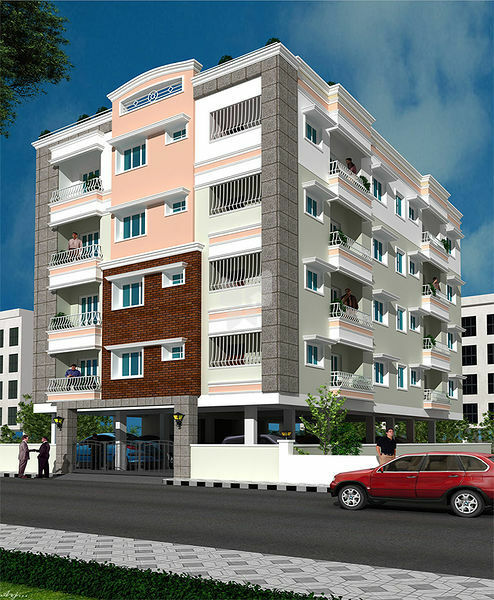 MKH Hem, the stylish building situated at Pon Nagar, Trichy has unique layout of 8 exclusive 3 BHK flats with area specifications of 1368, 1314 sq.ft housed in +4 floor structure makes living luxurious and comfortable.Each flat boasts of a covered car park, individual water availability and power supply which makes the owner independent and great neighborhood.The spacious bedrooms and classic floors with finish fitting reaches the level of perfection. 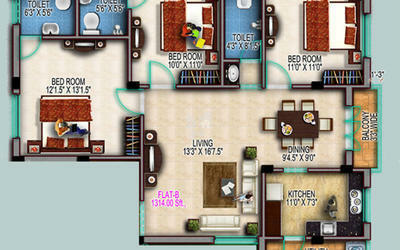 A touch of royalty is conceptualized in every angle of project. The perfect blend of functionality helps us to strike the balance between aesthetics and convenience in each flat to excellence. We are flexible to requirements of our customer in interior designs and floorings. Modular kitchen with top and bottom cabinests granite working counter with stainless steel sink. Premium decorative lights & Quality CP fittings. Quality sanitary wares with glazed tiles up to 7'0 height. EWC for Attached Toilet & IWC for Common Toilet. One common Borewell and sump of Adequate size with two seperate over head tanks, one for corporation water and other for Borewell water. Intercom connection between flat to flat and security and cctv Camera with 24x7 Recording Backup. Backup Generator for lift and common amenities. 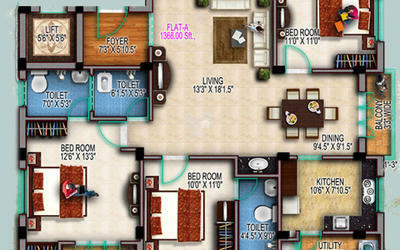 MKB Homes - Flat Promoters is the specialized and expertise in building apartments, villas and high rise building. We have touched the heights of success and built a reputation for apartments and high rise buildings from our existence. Since our inception, we always work on technical excellence and maintain the high standards of business practice. By unifying new architecture with stunning creativity, we build villas with aesthetic beauty. Our international quality standard brings your imagination of luxury in reality. We put all our strengths to achieve your dream and take pride in providing truly better living experience. With honest and trust, we ensure an enduring relationships with customers. With combination of experiences and highly talented architects, MKB Homes expresses the comfort and happiness with your family.